Isaiah was packing away the couple's belongings when the next thing Juliette saw was her boyfriend of two years lying face down on the ground, with no signs of a pulse. 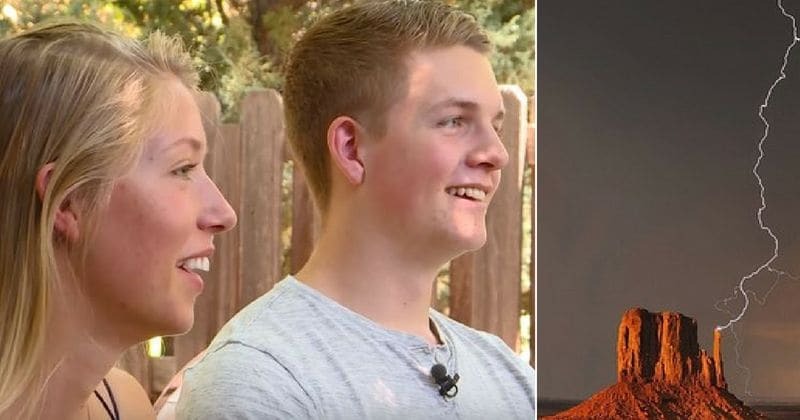 A young woman from Colorado is being celebrated for bringing her boyfriend back to life after being struck by lightning. 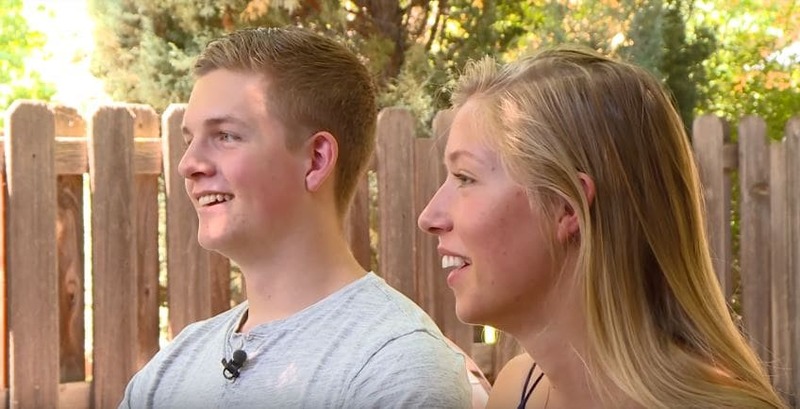 On Saturday, Juliette Moore and Isaiah Cormier went on a camping trip when things took a deadly turn when the couple was stuck in the rain, and Isaiah was struck by lightning. 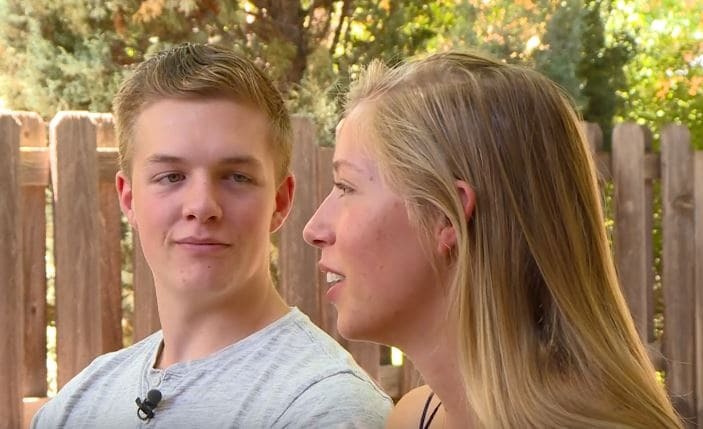 In a video released by 9 News, the couple talks about how a normal camping trip suddenly turned deadly. Isaiah was packing away the couple's belongings when the next thing Juliette saw was her boyfriend of two years lying face down on the ground, with no signs of a pulse. Isaiah had been struck by lightning while he stood near their tent. Lucky for him, Juliette sprung into action thanks to a CPR class she took just a month before. 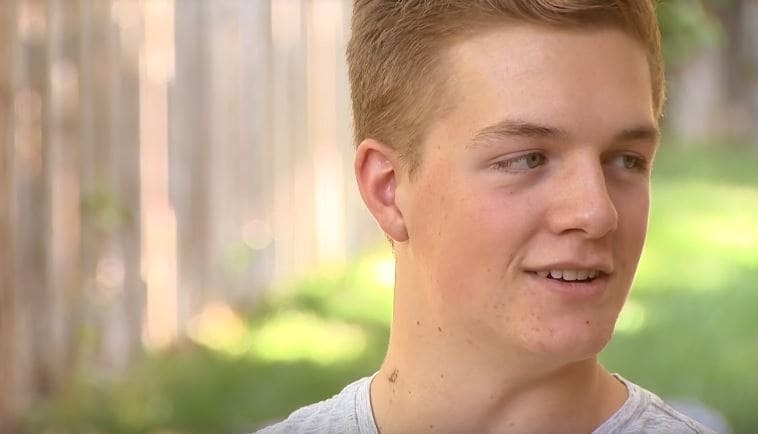 "I called out his name but he wasn't responding," the 18-year-old told 9News, "I rolled him over and started to perform CPR." Juliette's quick thinking brought Isaiah back to consciousness for a moment before he slipped away for the second time. "I kept calling for help while trying to revive him," explained Juliette, "He had stopped breathing again so I continued performing CPR." Juliette managed to alert a nearby fellow camper who helped the couple get to their car. Juliette drove to the highway as Isaiah slowly became alert in the car. The couple managed to get to emergency crews that were waiting for them off the highway. 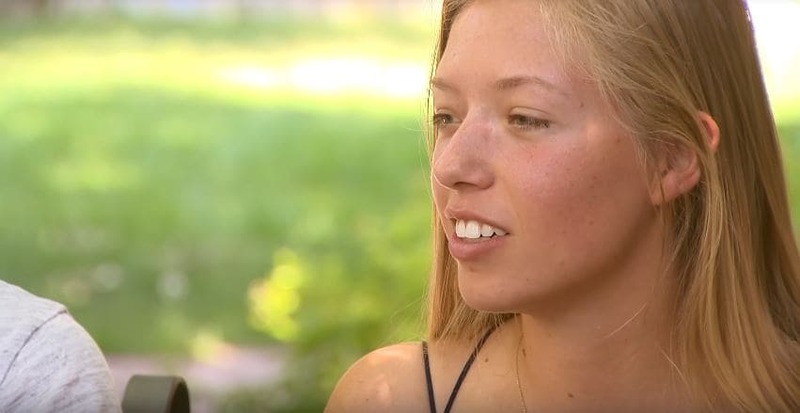 "I never want to drive that fast again on Peak to Peak highway because that was a little terrifying," Juliette told CBS. "He started asking what happened and we told him you know, ‘You were struck by lightning.'" Isaiah was struck n the neck with lightning, which ended up passing through his body through his right foot. Thanks to this, he was able to survive without any harm caused to his internal organs. Speaking to CBS, Dr. Anne Wagner, who is the medical director for the UCHealth Burn Center, said that surviving a lightning strike is very rare, and she has only had two other patients survive. Dr. Wagner also added that Isaiah's life was saved thanks to Juliette's CPR training. How awesome is that, true love indeed!!! "He wouldn’t have survived if she didn’t know CPR,” Dr. Wagner said, "It’s a super high voltage injury that transfers through the body. It does a lot of its damage under the skin." 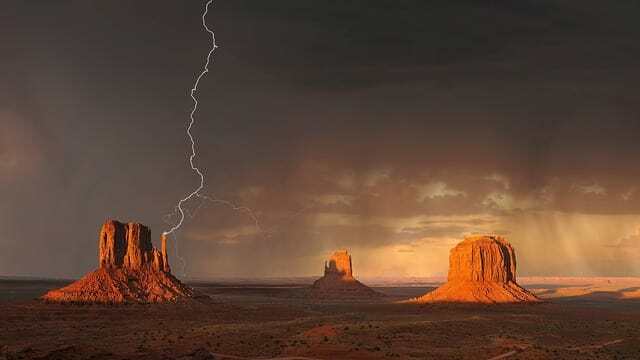 Lightning usually strikes through the scalp, and it is very rare for a lightning strike victim to survive without immediate CPR administration. 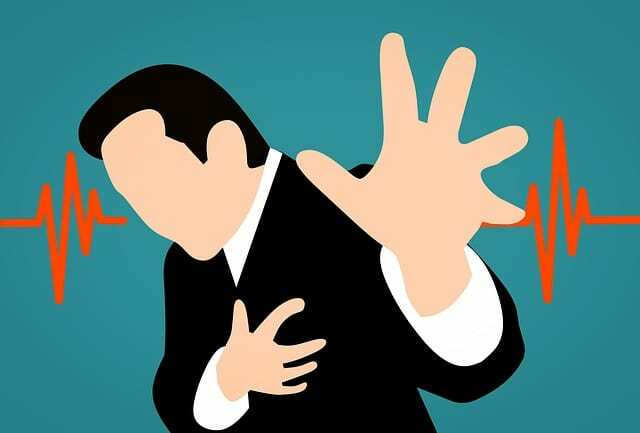 Did she do si...si...six...six...six...si...six...ty...sixty six chest compressions? According to Dr. Wagner, Colorado has the third largest number of people who are struck by lightning in the country. "If you can see the lightning, it can strike you," she said. It is advisable to head indoors when there is a lightning storm. Dr. Wagner also advises people to stay away from metal objects and avoid standing under a tree. Juliette and Isaiah are now urging people to take CPR classes because it could end up saving a life. "If I hadn’t had to do that a month ago, I’m not sure how it would have turned out," Juliette said. "I think everyone should learn now." Juliette recalls a moment when she was trying to save Cormier’s life: she knew they had only just begun their relationship. "There was kind of a moment when I was giving him CPR. Not yet. I’ve got too much to do with this person," she said. "I got a lot of stuff I need to do with you so you’re not allowed to leave yet."